It's that time of year again! 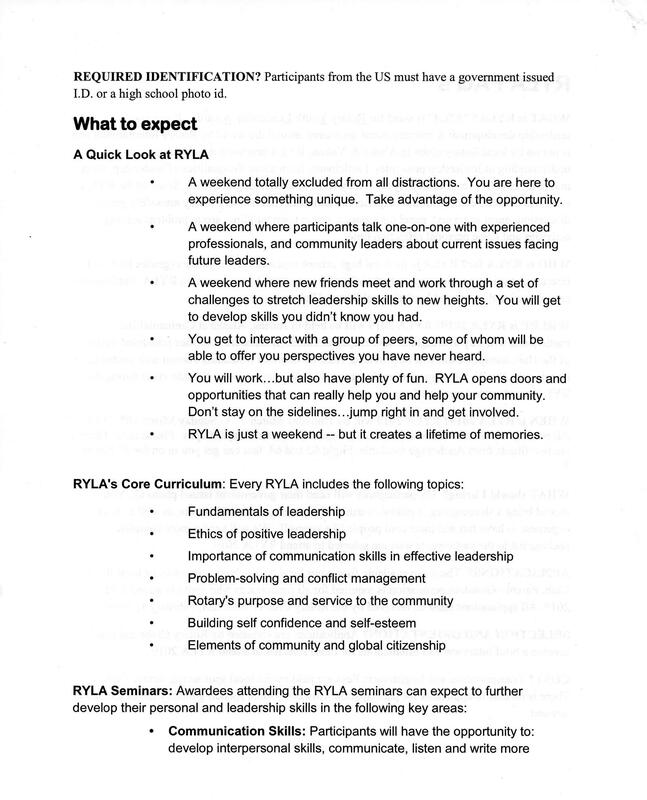 I need your help to spread the word about RYLA and to pass on information to Sophomores and/or Juniors that you think would be good candidates to participate in RYLA. 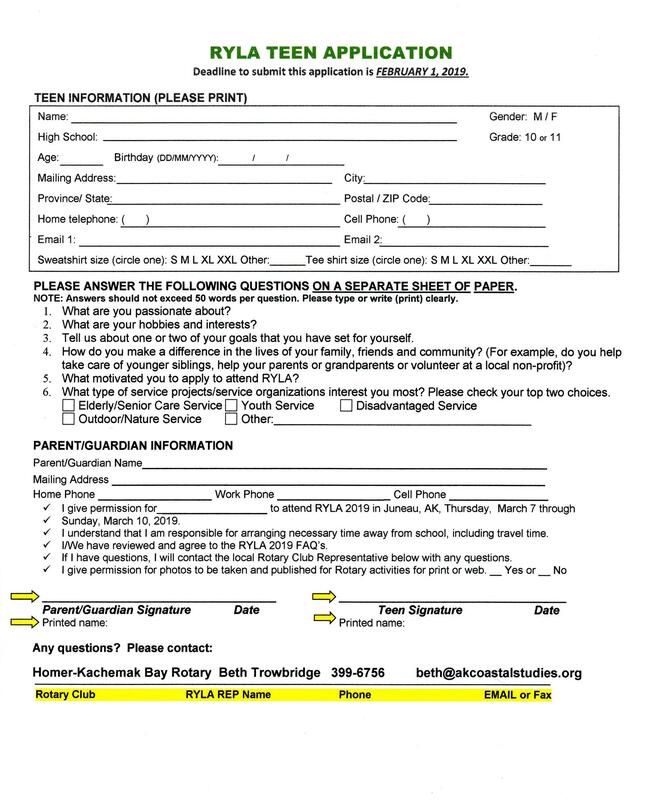 This year RYLA is March 7-10th and is in Juneau. The application and a FAQs sheet is attached to this email and we need to have applications submitted by Feb. 1. 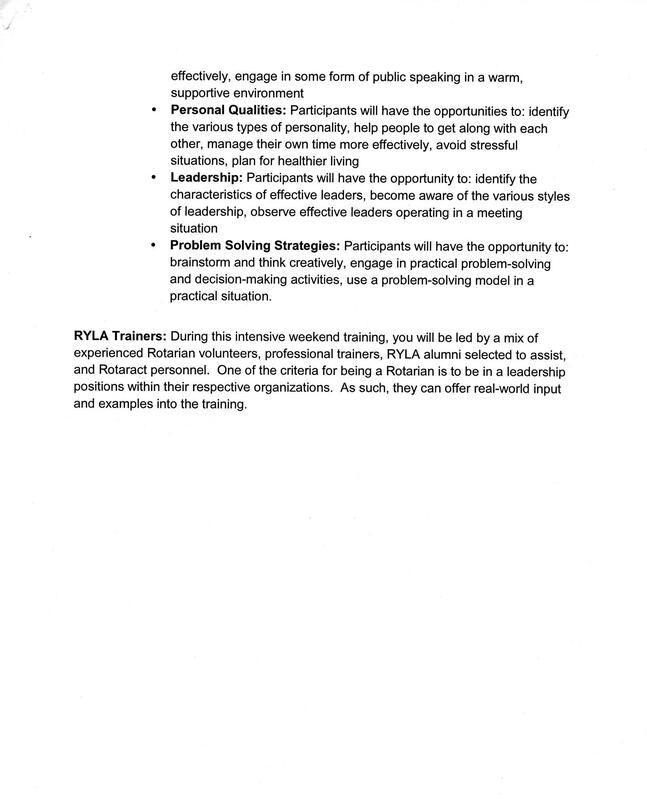 RYLA is a great leadership building experience and networking opportunity for youth. Please help get the word out!